Bill is the major driver behind SomaDynamics and his leadership has been instrumental in developing the company’s capabilities to date . 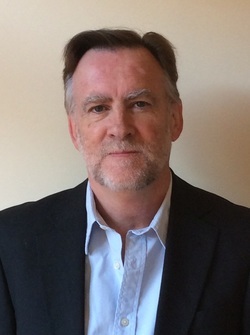 Bill Humphreys has over 30 years CAD and related software development experience. He has extensive software design capabilities in many of the leading 3D CAD modelling systems, including UniGraphics®l, CATIA® and CADDSMAN®. Bill has extensive professional background and working knowledge of the Motor Vehicle Manufacturing Industry having worked for some of the industries leading manufacturers during the last twenty (20) years, including Saab, Magna Styer (Austria), Opel (Subsidiary of General Motors USA), Ford Australia, Holden Design Australia and Mitsubishi Australia. After graduating from Monash University in Mechanical Engineering, Ian joined GM Holden where he worked in Australia and overseas in a broad range of Engineering roles. He lead the Product Development team responsible for Holden’s expansion into 4 cylinder engine exports and then moved on to become Program Manager for the locally manufactured Holden Vectra. 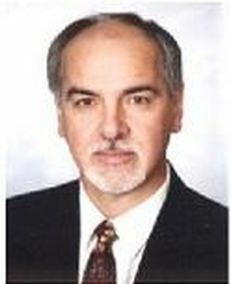 From 2001 – 2007 he was Executive Director for Product Planning and Program Management and also a member of the Board of Directors for GM Holden in Australia. Since retiring from Holden he has consulted on several alternative energy projects for auto industry companies and also consulted on Land 121 Defence Projects. From 2010 - 2014 Ian was CEO of EV Engineering Ltd, an industry consortium which successfully designed and built a ‘proof-of-concept’ fleet of fully electric vehicles based on the Holden Commodore. Wayne is a science graduate of Australian and UK universities. He is also a graduate and Fellow of the Australian Institute of Company Directors. Wayne has filled senior management and non-executive directorship roles in organisations characterised by high levels of innovation. These have included start-ups, government agencies and universities. His recent roles have been to manage university-based commercial activities with a primary focus on the health sector. He now provides independent advice to Soma on innovative projects for that sector. Wayne also has an interest in corporate governance and management structures for emerging enterprises. Geoff is a mechanical design engineer with 25 years of experience in a variety of industries including automotive, rail rolling stock, white ware and bulk materials handling. Geoff also has software design experience and qualifications creating an ideal blend of skills for developing engineering software. Geoff has been associated with Soma Dynamics at various levels since 2005 and continues to contribute in a consulting role. He also has a Masters of Engineering Practice (Mechanical) and a Master of Information Technology. Dean is a 3D modeling expert in mining environments. Dean served the US National Institute for Occupational Safety and Health (NIOSH) for over 20 years. He has extensive expertise in mining industry operations research, advancing equipment design and operator interactions. His research directly contributed to eliminating hazardous mining conditions in the USA and improving metrics in human-machine interface, equipment design, and machine procedures. Dean’s cutting edge experience in 3D modeling and simulation, human motion capture, and complex machinery as a means to test, evaluate, and develop processes for human interactions with equipment in hostile environments, has resulted in safer and more efficient work practices for miners in the USA. As a beta tester and code developer for Jack software, he used Jack’s motion capture capability to investigate and demonstrate human-machine health and safety options that led to optimizing underground mine equipment for certain high risk tasks. Dean holds a Bachelor of Science in Electrical Engineering from the University of Missouri and has completed post-graduate studies in Systems Management, 3D Computing, and Emergency Management. He is the author of over 50 publications that have advanced mine health and safety issues."